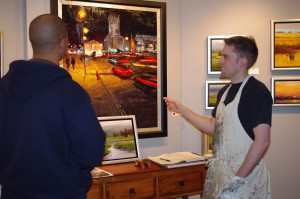 There are different factors that you have to consider when pricing your artwork. If you’re just starting out and have not sold very much, pricing your work based on time, labor, and cost of materials is often the best way to go. Aside from explaining why your art is priced as much from a personal standpoint, you also have to explain equally from a financial standpoint and give reasons why it is a good buy most especially when your buyers are not familiar with you and your work. Here are some tips on how to fairly price your artwork. 1. How much did you spend? You can start pricing your artwork by computing the quality and cost of art materials you’ve used. Then put into consideration the time and effort you spent in making these masterpieces. Price it at cost of materials plus hours spent creating the art. You can also do it by size. 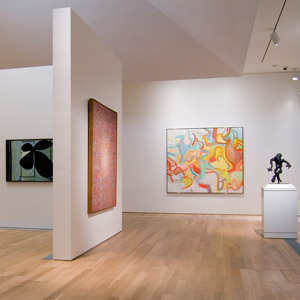 Large artworks usually are more expensive than the smaller ones. It’s best to start low and raise your prices than it is to lower your prices later. But make sure that you have to gain a significant profit from your artwork to sustain your art business. You might want to price the work a few hundred dollars over the set price so you have space to negotiate just in case a buyer ask for a discount. Don’t undervalue your work. Selling your art too cheaply reflects your confidence as an artist. Research and see what’s being charged by other artists that are at your level of work. Use that information as a guideline then set your price similar to other artists with similar experiences and work in similar mediums. Price your work based on your achievements, documented accomplishments, successful exhibits and number of sales. The more popular you are as an artist the more you should be confident with your pricing. Keep a pricelist of your paintings. Consistent pricing means that you’re consistent with the quality of your artwork. It is a cornerstone of a sound practice and eventually leads to successful sales. You can increase your pricing when you are experiencing a consistent degree of success and have established a proven track record of sales that has lasted for at least six months and preferably longer.